'Who would want to play in St. Louis? It's so boring,' the career .228 hitter at Busch Stadium said. It might only be January, but the central division smack talk is heating up between the Cardinals and Cubs. 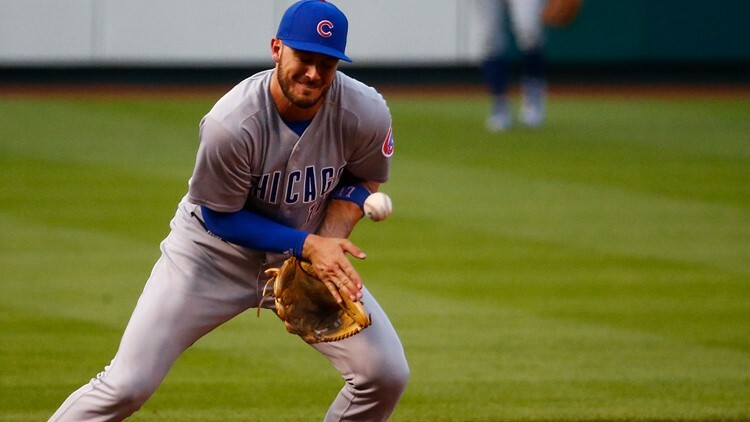 Friday night at the 2019 Cubs convention, Chicago third baseman Kris Bryant sat down with former Cub Ryan Dempster and had a few choice things to say about St. Louis and the Cardinals. The discussion was prompted after Dempster called up the photo op Bryant had with free agent Bryce Harper and St. Louis native, Nelly earlier this offseason in Las Vegas. In 30 career games at Busch Stadium Kris Bryant holds a .228 batting average, .307 on base percentage and has 43 strikeouts.